Jason Kirkey is an author, poet, and the founder of Hiraeth Press. He grew up in the Ipswich River-? ?North Atlantic Coast watershed of Massachusetts. Jason brings together his backgrounds in environmental philosophy and conservation biology with poetry and prose focused on rewilding the human heart and mind. 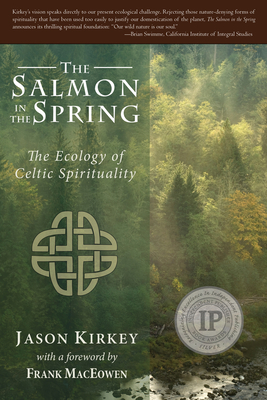 He has written four volumes of poetry, including Estuaries, and a nonfiction book, The Salmon in the Spring: The Ecology of Celtic Spirituality. Jason is currently at work on his second nonfiction book and a novel.